We have a strong belief that ALL children are diverse and unique individuals who have personal strengths and who are naturally curious. Children need to be provided with an organized child-centered learning environment that emphasizes mutual respect, fun, discovery, and literacy, always while addressing sensory needs. In the supportive environment of the center, we provide the conditions all children need to build knowledge, focusing on the learning process rather than the end product. Our philosophy highlights the understanding of cultural differences and the value of acquiring a second language early in childhood; for these reasons, as a team that is made up of native Spanish speakers, we provide a program of linguistic and cultural immersion. Continue to grow professionally in order to better serve children and families. Provide appropriate services to ALL children. Utilize strengths and overcome weaknesses. Foster self-esteem while celebrating children’s successes. 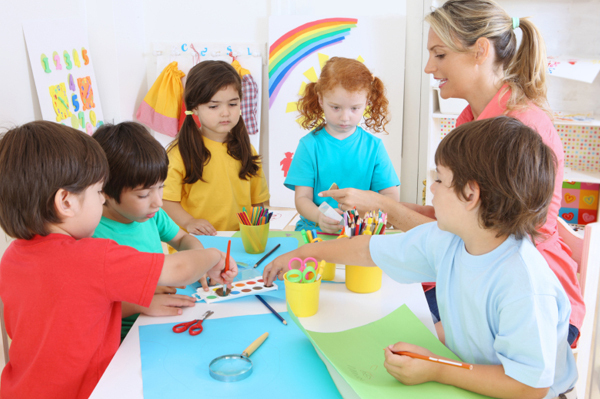 Establish a fun and safe learning experience within a Spanish immersion environment. Enable children to make discoveries and realize their potential. Support and build a trusting relationship with parents, children, and other professionals in my community.